Outside of the classic industrial environments, robots are not expected to operate in the vacuum and isolated from people. Robots are instead performing their tasks close to and in collaboration with or assistance of humans; be this delivery drones, self-driving cars, robot assisted care or collaborative industrial settings. We take inspiration from us humans: We interact in a perception-action loop, where actions have consequences and thus require prediction and reactions. This requires developing a meaningful model of the humans we are interacting with from observations and interactions. Thus, learning is the glue that enables us to link desired outcomes with purposeful actions; and in a digital, data-driven world, machine learning is at the core. We will explore in this workshop, using cross-disciplinary work, how to close-the-loop of modelling and predicting human interactions as well as human-robot interactions. A major challenge in analyzing such behavior is to discover some underlying simplicity in a complex and highly variable stream of behavioral actions. The gain of such an analysis is that the underlying simplicity is often a reflection of the mechanism driving behavior. We believe that advanced statistical and probabilistic methods can be used to analyse the unconstrained natural statistics of behaviour. 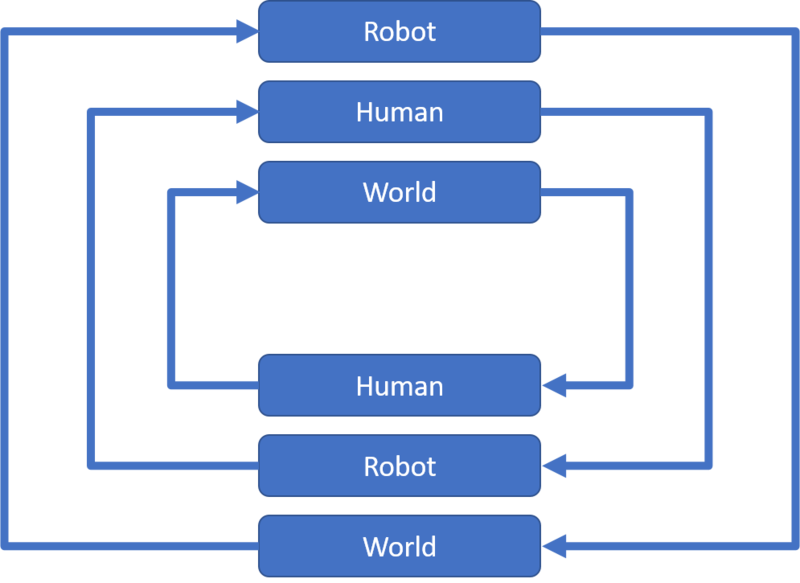 Similar methods need to be applied to robotic systems, understanding their behaviour in conjunction and interaction with the human, to ensure compatibility and complementarity within the human-robot interaction, which is in this case, happening as a closed-loop. 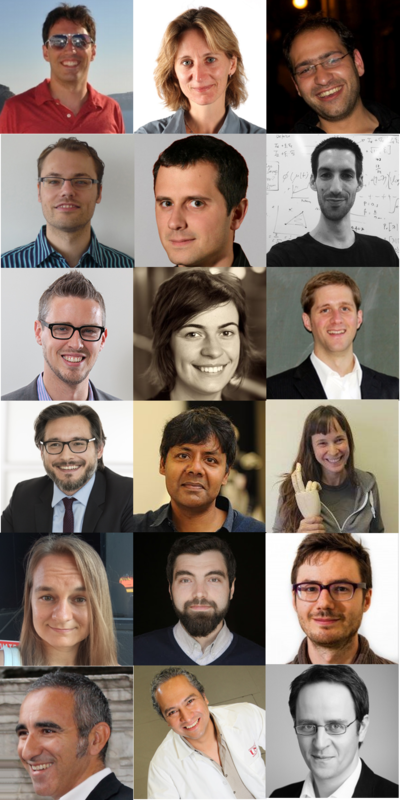 This workshop aims to create a forum for experts in robotics, machine learning, human behaviour analytics, computational neuroscientists, and all relevant stakeholders within academia and industry, on how the current research within these different fields can be brought together to create a new paradigm for human/robot in-the-loop machine learning. To this end, speakers have been selected with care, bringing in top experts and representatives from the above in a unique environment for joint discussions and understanding across the different platforms of research. We hope that this will lead to a new community of cross-disciplinary research, with further workshops of the same topic organised for future and further collaboration. Talk titles and abstracts are now up and accessible here. The workshop will be held on the 1st of October, at IROS 2018, Madrid. More details about the venue here. The schedule can be found below – details of talks will be added shortly. If you are working on any part of the below figure, be it a single arrow, a box, a full loop or a mix of different loops, we would like to hear about your research! Please submit your contributions in the form of (up to) 4-page, extended abstracts as PDF, using the IEEE template (for MS Word or LaTeX). These will be reviewed by the workshop committee consisting of the organisers and a selection of our invited speakers. Selected papers are to be presented in poster form at the workshop. Y. Kato and A. Oht. “Pedestrian Destination Prediction Using a Pretrained Predictor Model for a Voice Guidance Robot“. E. Nascimento, R. Bajcsy, G. Kurillo and I. Villegas. “Acoustic-driven Interior Vehicle Adaptation based on Deep Reinforcement Learning to Improve Driver’s Comfort“. T. K. Faulkner, E. Short and A. Thomaz. “Towards Active Attention-Modified Policy Shaping“. J. Fisac, D. Fridovich-Keil, A. Bajcsy, S. Herbert, S. Deglurkar, C. Tomlin and A. Dragan. “Scalable Confidence-Aware Safety Analysis for Robot Planning around Multiple Humans“. E. Senft, S. Lemaignan, P. Baxter and T. Belpaeme. “From Evaluating to Teaching: Rewards and Challenges of Human Control for Learning Robots“. P. Reverdy. “Decision mechanisms from cognitive science for human-robot learning“. The above papers will be presented in digital interactive poster format, along with a teaser presentation, at our workshop. IROS 2018 is expected to cover the main topics within robotics research; as highlighted on the conference website: Human-robot interaction, humanoids, social robots, autonomous systems and, intelligent perception, as well as social aspects of robotics. While researchers in these fields are incorporating machine learning methods in their work, there is no specific session within IROS that is focused on how machine learning can enhance robotics research. 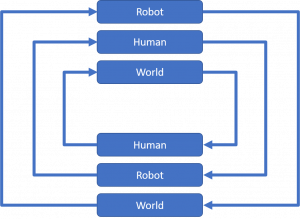 In particular, our workshop’s focus on human and robot in-the-loop techniques, makes the discussions interesting to both the robotics and the machine learning community. Our speakers are top researchers from these fields, providing the opportunity for fruitful discussions on how the communities can come together for better collaboration and research output. See you at the Madrid Municipal Conference Centre!